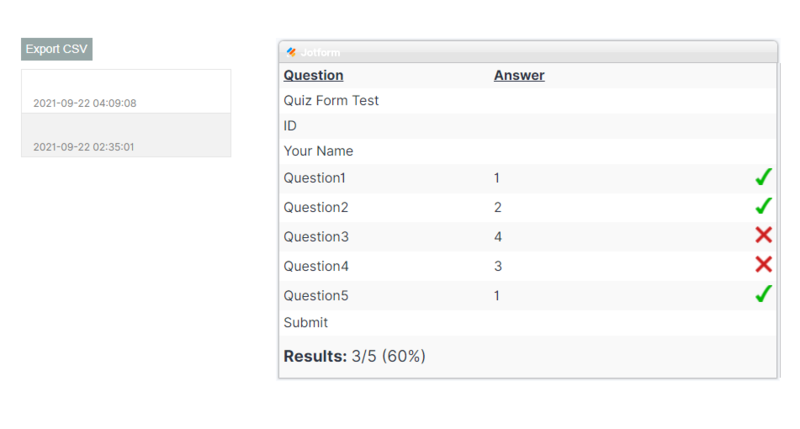 Turn your form into a quiz or Exam! Click on "Open Quiz Form"
Save your settings - and your quiz is ready! You can have the quiz results emailed, compare them in this app, or even show them to the user on completion. Show Results to user after submission.